Possess an intrinsic understanding of sound project practices and have the ability to lead the deployment of those practices while collaborating and adjusting to specific project situations. We want job seekers exploring opportunities at Deloitte to feel prepared and confident. To help you with your interview, we suggest that you do your research: know some background about the organization and the business area you’re applying to. We also suggest that you brush up on your interviewing skills and practice discussing your experience and job history with a family member, friend, or mentor. 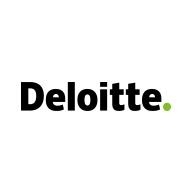 Check out recruiting tips from Deloitte professionals to help you prepare.